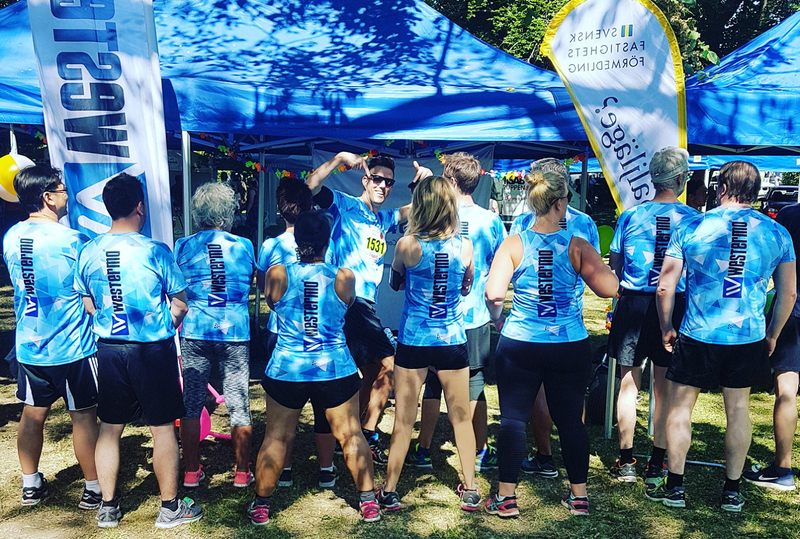 We could write an essay on who we are, what we believe in and what we do but at Westermo Network Technologies AB it’s the people that build the company - so what better way to describe the company than with the employees own words. Quality is everything – the people, the organisation and the products. The best team spirit there is! Robust data communication – made easy. Welcome to a rapidly growing international company, thriving at the forefront of cutting edge technology. Westermo develops and manufactures advanced devices for industrial data communication, used in mission critical installations and harsh industrial environments. The very robust and secure communication networks built with our products provide a high value for our customers. We are passionate about taking advantage of the growth opportunities in our market. The work environment is very dynamic with great loyalty and team spirit. It is expected to take initiative and our flat organization creates efficiency and provides the opportunity for those who are closest to the task of solving it. Westermo is currently recruiting a Technical Product Manager in Västerås. In this role you must be fluent in Swedish, therefore the presentation below will follow in Swedish. Westermo är i en stark expansionsfas och vi förstärker nu vårt R&D HW team med en ny medarbetare. Är du vår nästa tekniska produktchef och är redo för att jobba på ett framgångsrikt och växande företag med engagerade och positiva medarbetare? Som teknisk produktchef på Westermo är du en del av hårdvaruteamet och har det tekniska ansvaret för produkter mot några av våra största kunder. Rollen innebär mycket globala kundkontakter och samarbete med andra delar av organisationen inom Westermo för att kunna stödja våra kunder på bästa sätt. I ditt dagliga arbete kommer att vara både att hantera olika kortsiktiga ärenden samt att hjälpa kunden i pågående projekt. Du kommer att bistå kunden med kunskap om produkterna och även hjälpa kunden med nya möjligheter. Du har även en kommersiell förståelse för kunden och affären. För att lyckas i rollen är det viktigt att du har en bra socialförmåga och samarbetar professionellt både internt och externt. Du är en problemlösare som är van vid att jobba självständigt och strukturerat i ditt dagliga arbete. Intervjuer kommer att ske löpande och tjänsten kan komma att tillsättas innan sista ansökningsdagen. Välkommen med din ansökan redan idag! Westermo Network Technologies AB, eftersträvar jämställdhet & mångfald och värdesätter därför sökande med olika bakgrunder. Westermo is a leading supplier of Industrial Data Communications equipment to the World market. Sales are conducted through our offices in key markets in Europe, North America, Australia and Asia, as well as through distributors and OEM customers worldwide. Development and manufacturing takes place in Sweden. Westermo was founded in 1975 and has a turnover in excess of 580 MSEK. The company is a wholly owned subsidiary of Beijer Electronics AB. At Westermo you will have a real impact on the company’s technical roadmap. Don’t miss out on this opportunity – apply today. Westermo entwickelt und fertigt seit über 40 Jahren robuste Datenkommunikations- und Netzwerk-Produkte für unternehmenskritische Systeme in anspruchsvollen Umgebungen. Die Produkte sind sowohl für die Infrastruktur wie Verkehr, Wasser- und Energieversorgung als auch für die Prozessindustrie, wie z.B. Bergbau und der Petrochemie konzipiert. Wir suchen einen erfahrenen Key Account Manager. Sie werden unsere innovativen Produkte im Umfeld der kritischen Infrastruktur vertreiben. Zu Ihren Aufgaben gehören die Neukundenakquise, sowie die Betreuung der internationalen Key Accounts. Sie werden das Unternehmen ebenfalls auf Messen vertreten und Ansprechpartner für das Messepublikum sein. Das Halten von Präsentationen sollte Ihnen auch auf Englisch Freude bereiten. Ein vielseitiges und anspruchsvolles Aufgabengebiet, eine Festanstellung mit einem attraktiven Fixgehalt und interessanten Bonuspaket. Wir stellen Ihnen einen Firmenwagen auch zur privaten Nutzung und sie können direkt vom Home Office aus arbeiten. Flache Hierarchien und kurze Entscheidungswege geben großen Raum für persönliche Entwicklung. Als Key Account Manager arbeiten Sie in der DACH Region bei unseren internationalen Kunden. Sie sollten daher eine hohe Reisebereitschaft haben. Eine moderne Arbeitsplatzausstattung sowie Unterstützung durch das kompetente Backoffice-Team ist selbstverständlich. We are passionate about taking advantage of the growth opportunities in our market. The work environment is very dynamic with great loyalty and team spirit. You are expected to take initiative and our flat organisation creates efficiency and provides the opportunity for those who are closest to the task of solving it. Westermo is currently recruiting 2 trainees to join our R&D Software Development department. The Trainee Program is one year long and consists of both theory and practice. As trainee you'll have a mentor during the whole program in which you'll have the opportunity to try different assignments at different departments. Westermo is delighted to have you onboard and will invest significantly in your successful future with the company. During the Trainee Program you will work with design, programming, support & maintenance within different areas such as Cyber Security and Industrial Communication Applications. You'll also have the opportunity to participate and drive continuous improvement work. 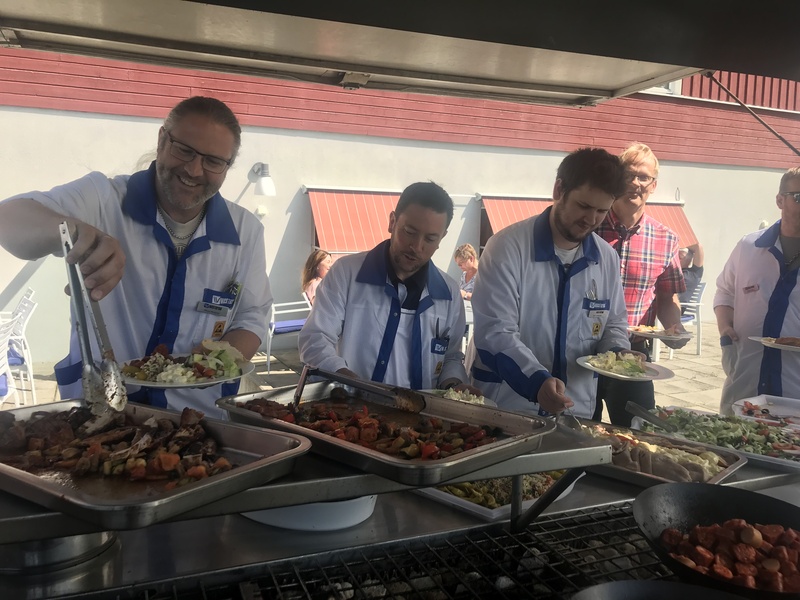 The majority of the Trainee Program takes place in different functions within Westermo Sweden, however, the last period consists of up to 12 weeks internship in one of our 11 offices abroad. Your home department during and after the trainee period will be R&D Software Development in Sweden. We believe you are a team player who is keen to learn from others and enjoy sharing your knowledge with the team. You take your own initiative when it's needed and have a burning desire to improve both personally and professionally. Westermo is a leading supplier of Industrial Data Communications equipment to the World market. Sales are conducted through our offices in key markets in Europe, North America, Australia and Asia, as well as through distributors and OEM customers worldwide. Development and manufacturing takes place in Sweden. Westermo was founded in 1975 and has a turnover in excess of 580 MSEK. The company is a wholly owned subsidiary of Beijer Electronics Group AB. At Westermo you will have a real impact on the company’s technical road map and be a key member in the team driving the company digitalisation. We've already chosen our recruitment channels and marketing partners. Therefore, we avoid any contact with media sales and recruitment sites. Westermo operates with IFSas ERP system. 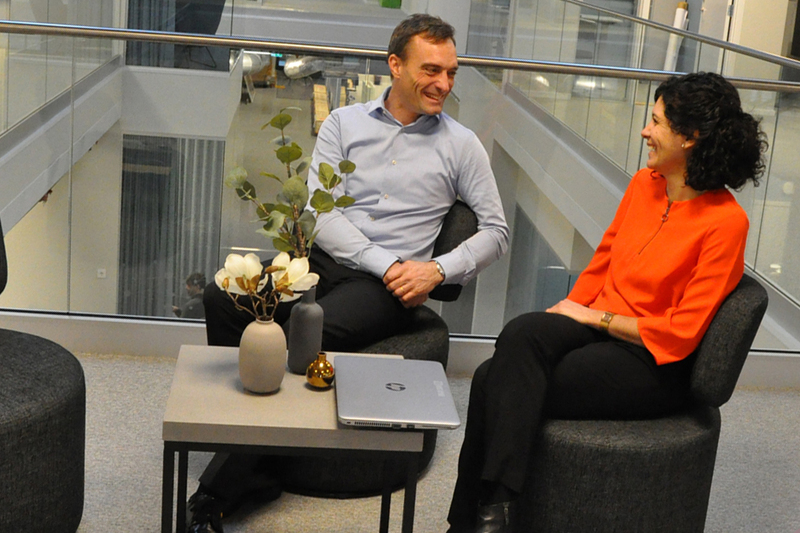 We are currently recruiting a specialist who has an advanced knowledge in ERP system to join our IS/IT team in Västerås and Stora Sundby to drive the ERP development and support the organisation and Westermo Group in the high ambition to reach the next level of digitalisation. We are looking for a passionate ERP specialist who really enjoys driving the development of IFS that make the Westermo operations highly automated and efficient. You are eager to take on our existing IFS setup that aid our production organisation in their daily work and develop it further including integrating other vital systems in the purchasing, sales and support area to a high degree of automation. You are thrilled to work with the latest IFS version (IFS10) to make use of the fast developing opportunities in this environment. You will be responsible for the IFS system in Westermo Group including support of the organisation and close cooperation with the IFS support team in Malmö. The responsibility covers both the Westermo operations in the production facility in Stora Sundby as well as the R&D center in Västerås as well as the international sales companies. We believe that you can strengthen both the team and our organisation. You will enjoy working with us if you are creative and a team player. You are also structured and willing to walk the extra mile to achieve a highly automated environment. Westermo is a leading supplier of Industrial Data Communications equipment to the World market. Sales are conducted through our offices in key markets in Europe, North America, Australia and Asia, as well as through distributors and OEM customers worldwide. Development and manufacturing takes place in Sweden. Westermo was founded in 1975 and has a turnover in excess of 500 MSEK. The company is a wholly owned subsidiary of Beijer Electronics Group AB. At Westermo you will have a real impact on the company’s technical roadmap and be a key member in the team driving the company digitalisation. Westermo Network Technologies AB, is a leading supplier of Industrial Data Communications equipment to the World market. Sales are conducted through our offices in key markets in Europe, North America and Asia, as well as through distributors and OEM customers worldwide. Development and manufacturing takes place in Sweden. Westermo was founded in 1975 and has a turnover in excess of 450 MSEK. The company is a wholly owned subsidiary of Beijer Electronics AB. Westermo is implementing a new Smart Factory and needs to expand the team in Sweden with two Production Technicians. As a production technician, you are part of the daily operations and you will develop, support and make the production process more efficient. We are looking for two candidates with previous experience of similar work and who want to be a part of this journey. This position requires to speak Swedish and therefore the ad will follow in Swedish. Westermo är på väg mot en ny smartare fabrik och behöver utöka teamet med två produktionstekniker. Vi söker dig som har ett genuint intresse för teknik och vill driva förbättringsarbete. Som produktionstekniker är du en del av den dagliga verksamheten i fabriken men du kommer också utveckla, stödja och effektivisera hela produktionsprocessen. Du kommer att arbeta med hela processen dvs. ytmonteringsutrustning, omsmältningslödning, våg/selektiv-lödning och viss programmering av monteringsutrustning samt test och slutmontage. I denna roll förväntas att du är med och leder och genomför förändringsprojekt kopplat till våra produktionsprocesser men även projekt med inriktning mot vår fastighet då vi står inför stora förändringar bl.a. avseende produktionsyta. Andra förbättringsrelaterade uppdrag kan förekomma. Då vi är en liten organisation, är det viktigt att vara flexibel för att få bästa resultat. Du ska kunna utföra rotorsaksanalyser med förslag på lösningar. Du tänker kvalitet i allt du gör och är van vid att arbeta med ständiga förbättringar och Lean-verktyg. En del av arbetet sker i projekt tillsammans med andra och rollen innebär även att du ska kunna jobba självständigt. Som person är du driven, noggrann och strukturerad. Du har en bra analytiskförmåga och är målmedveten. För att lyckas i rollen, är det viktigt att du är en bra lagspelare som samarbetar professionellt med andra i ditt dagliga arbete. Employed at Westermo - We are passionate about taking advantage of the growth opportunities in our market. The work environment is very dynamic with great loyalty and team spirit. It is expected to take initiative and our flat organization creates efficiency and provides the opportunity for those who are closest to the task of solving it. Westermo is currently recruiting a cyber security developer to join our R&D team in Västerås. We are looking for a cyber security developer who wants to lead others to join our R&D team in Västerås, Sweden. For this position you need to have excellent skills in Swedish and English, both written & spoken. At Westermo we develop software for our hardware with tough system resource constraints. We develop a Linux based OS, based on Linux as we integrate a variety of Open Source packages along with a large amount of software we develop from scratch. As a developer of our networking products, you are primarily working on developing our custom Linux to our network OS - WeOS. In order to assure the quality of our solutions, we use a risk-based test strategy with an advanced automated test framework. The test framework provides the basis of the risk-based testing that is run every night, to provide feedback to all of our developers. You are responsible for developing WeOS as well as developing new test cases to verify and validate the changes that you and your team work with. The development of WeOS is done in C and the test cases are implemented in Python. You like to support your colleagues with for ex. coordination of your common tasks. You understand what it means to analyze the attack vector in products and want to take part in Westermo's PSIRT. We use tools like Achilles and Nessus to ensure that the basic level of security in our products are known and meets our requirements. The work is largely about evaluating and implementing new technologies and solutions. At Westermo there is always room for initiative and creativity. In addition to working with WeOS development, we expect you to contribute with ideas of improvements to our processes. If you like to develop new solutions, solve problems and develop for the future - then Westermo is the place for you to grow. We believe that you can strengthen both the team and our organization. You will enjoy working with us if you are creative and a team player. You are also structured and willing to walk the extra mile to achieve high product quality. Together we can develop Westermo's WeOS offer at an even higher level. We are looking for someone who is interested in software development and is eager to work with Cyber ​​Security in everything that concerns our products. As a developer at Westermo, you will become an expert on our products and our network solutions. It is therefore important that you have good experience within data communications, Linux and managing CVEs. We believe you have at least a Bachelore's degree in Software Engineering and 5 years experience in product and software development. You master the development and analysis of software on Linux both in user space and kernel space and you can also support other developers. You are a very experienced C programmer and you also have a good knowledge in Python and shell script. In addition, you have a good understanding of how different hardware architectural register sets and memory structures affect software from a security perspective. You have good experience with the Git source code management tool. You can lead a small team with for example managing CVEs. It is an advantage if you have experience from industrial product development. We are continuously interviewing canidates, so don’t miss out on this opportunity – apply today. Westermo is a leading supplier of Industrial Data Communications equipment to the World market. Sales are conducted through our offices in key markets in Europe, North America, Australia and Asia, as well as through distributors and OEM customers worldwide. Development and manufacturing takes place in Sweden. Westermo was founded in 1975 and has a turnover in excess of 500 MSEK. The company is a wholly owned subsidiary of Beijer Electronics AB. 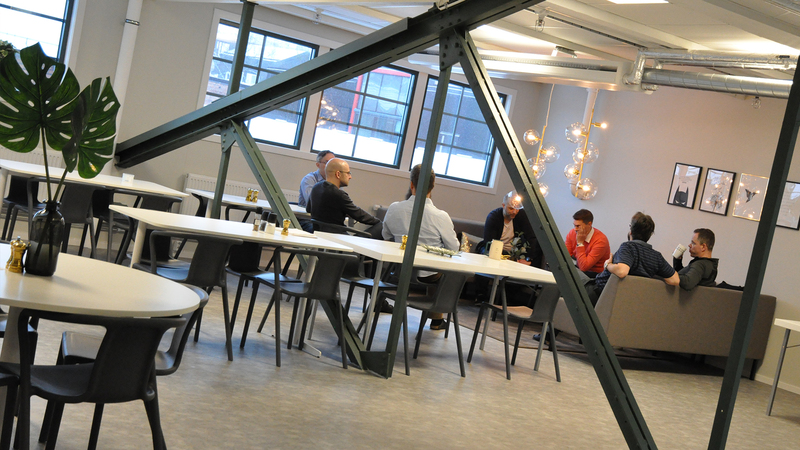 Westermo is currently recruiting a DevOps Engineer to join our team in Västerås to become the bridge between R&D and IS/IT. We are looking for a passionate developer who really enjoys developing and integrating software solutions that make R&D and IS/IT organisations move forward. You want to take on our existing services solutions that aid R&D in their daily work and develop it further in close relationship with both R&D and IS/IT. You will be responsible for an existing set of services ranging from server installations, tools and user interfaces where the majority are based on Linux and Open Source with additional own development where needed. These services include a continuous integration platform that for instance includes a build server cluster with 120 CPU cores, Jenkins, Docker, tool chains and Git. These services also include tools for change request management and its integration with SCM as well as continued development of a package repository that supports Linux based developers have access to one installation source for their development environment. The daily work will be about supporting and further developing the entire range of services that make R&D move forward quickly. You will also proactively propose and develop changes to the services that helps both R&D and IS/IT to move forward together while supporting the deployed solutions. We believe that you can strengthen both the team and our organization. You will enjoy working with us if you are creative and a team player. You are also structured and willing to walk the extra mile to achieve high product quality. Together we can develop Westermo’s products offering to an even higher level. We believe you are passionate about software development in general and especially want to work on providing services ranging from the server installation thorough the tools run on them to the visualization through for instance web interfaces. Westermo is a leading supplier of Industrial Data Communications equipment to the World market. Sales are conducted through our offices in key markets in Europe, North America, Australia and Asia, as well as through distributors and OEM customers worldwide. Development and manufacturing takes place in Sweden. Westermo was founded in 1975 and has a turnover in excess of 550 MSEK. The company is a wholly owned subsidiary of Beijer Electronics AB. As Test Developer at Westermo you will be part of a team that is responsible for our world class automated test systems and contribute by refining our test capabilities for existing and future products. The primary focus will be on test framework development, troubleshooting of issues, trying out new techniques and equipment for our test systems, physical and virtual and supporting developers in their usage of test framework and tools. In addition, you will also support our agile development teams with quality and testing related activities, like trouble shooting of failing tests, risk analysis, coordination of test resources and analysis of test results and trends. If you get a kick out of looking for problems, fixing them and develop a product to meet future demands, then Westermo has the place for you to grow in. Your initiatives and ideas are important to us and we want you to have a creative and flexible working environment. Research and trying our new techniques is a natural part of our day to day work. We keep Wednesdays meeting free to make it easer to work from home. Teamwork is always in focus and we have a lot of fun together! We believe that you have both the competence and personality that will make a difference in our organization. You will enjoy working with us if you are a person that is creative and pragmatic while working in a structured manner to ensure quality of our products and to move testing at Westermo to the next level. 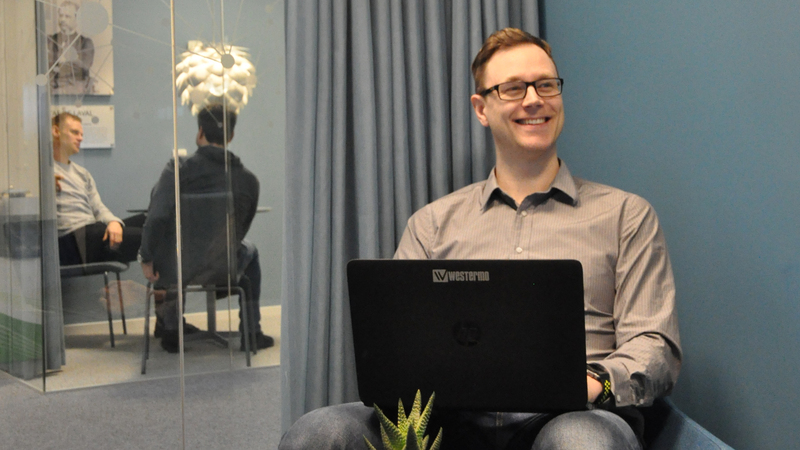 The main part of your work will be done at our R&D office in Västerås where most of our skilled Software R&D personnel are already waiting for you to become part of our team. Good knowledge of Swedish and English, both in speaking and in writing. Just like all of us in the Westermo software development team we believe you are positive, open, and communicative team player full of drive to deliver top notch high quality products to our customers! We also believe you have a genuine interest in the software testing area and are good at critical thinking. Register with our candidate pool for future recruitment. I’ve worked at Westermo Network Technologies since 2013. I wasn’t looking for a job when a saw that Westermo Network Technologies was looking for a Software test manager but I felt that I had to take the chance. The role turned out to be perfect for me, and to have the opportunity to work at a company that both focus on the development of new products and existing was to god to miss out on. Also, Westermo Network Technologies has a strong focus on automation of test and has a reputation for having one of the best test processes. Our test system gives feedback every morning to the developers on the programming they did yesterday. This feedback gives us the opportunity to find and solve problems early in the development process. This way of testing makes Westermo Network Technologies a more agile company and we are able to develop products faster than we could without it. I love my job at Westermo Network Technologies and I look forward to every new week. I know that I have an impact on the success of the company and that my input is important. Before I joined the Westermo Network Technologies team in 2012. I had heard a lot about the company and the quality of the products, and now that I work here that is something I am really proud of. Westermo Network Technologies has state of art equipment and several top modern laboratories. One of the best things about Westermo Network Technologies is the closeness to the production; I can work on a new design and instantly get feedback from the factory. Another great thing about Westermo Network Technologies is that the company gives you the freedom to work from wherever you are. That gives me the opportunity to manage my family’s farm and work full-time at Westermo Network Technologies. Both the company and my colleagues are open to solutions and we all feel that we contribute to Westermo Network Technologies success. A day at Westermo Network Technologies is never the same and it doesn't feel like a chore to go to work; I get to spend my days at a fun and creative place with intelligent and innovative people. When I first heard about Westermo Network Technologies I was working at another large technology company. We had previously worked with Westermo Network Technologies and I knew them to be a great company so I found myself immediately interested. I have degrees in electronics and in network manager systems and I had been looking for an opportunity to move towards this. I contacted Westermo Network Technologies and introduced myself which led to a meeting with their Sales Director and we hit it off straight away. After a few months they called me to ask if I wanted to step into the newly created role as an account manager and it was a perfect fit for me! Today I work as a Global Account Manager and I can say that everything that I heard about Westermo is true. It is an innovative company that strives for quality in everything they do and the team spirit is unique. We have our headquarters in Sweden but you can find Westermo Network Technologies all over the world.